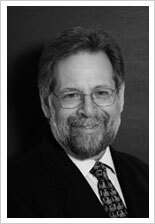 Fredric T. Perlman, Ph.D., F.I.P.A. I am once again very honored to be nominated for the IPA Board. I would like to tell you why. I feel enormously privileged to be a psychoanalyst and to be a part of the psychoanalytic community. I am especially privileged to be member of the International Psychoanalytic Association, of American Psychoanalytic Association, and of the Confederation of Independent Psychoanalytic Societies. And I am very happy and grateful to be a member of the Institute for Psychoanalytic Training and Research (IPTAR), where I trained, and of the New York Freudian Society (NYFS), where I have come to know so many wonderful colleagues and friends. When I entered psychoanalytic training more than thirty years ago, I could never have imagined being a member of the IPA or of any IPA component group. In those days, non-medical practitioners in the United States were excluded from membership in APsaA and therefore barred from membership in the IPA. It was difficult to be an analyst, committed to psychoanalysis and psychoanalytic education and, at the same time, to be an “outsider,” barred from the world community of psychoanalysts with which we were so identified. We “outsiders” had to nurture our professional identities without the support and legitimacy conferred by membership in the IPA. Like many of my colleagues before me, I found my way to Professor Martin Bergmann, a fellow “outsider” of rare erudition and independence of spirit, whose morning seminars stoked the analytic fire in our bellies and fortified our sense of belonging in the world community of psychoanalysts (see my paper on Martin's contributions, Love and its Objects, posted on this site). Our professional identities were forged in such “unauthorized” study groups and hardened in our struggle to maintain ourselves in the face of our formal exclusion. When the North American “new groups” were finally admitted to the IPA following the settlement of the GAPPP lawsuit nearly twenty years ago, it was, as Norbert Freedman of IPTAR wrote, a “homecoming” for us. Since then, our attachment and commitment to the IPA has been precious and vital to us, and I am grateful to all those who made our “homecoming” possible. The so-called “Freud wars,” the dismissive treatment of psychoanalytic thinking in the universities, and the derogatory coverage of psychoanalysis in the mass media have all parched the cultural soil in which we are rooted. Our “homecoming,” however, entailed a sad irony. While we of the “new groups” were celebrating our admission to the IPA, the social standing of our whole profession was falling. The so-called “Freud wars,” the dismissive treatment of psychoanalytic thinking in the universities, and the derogatory coverage of psychoanalysis in the mass media have all parched the cultural soil in which we are rooted. Adverse attitudes and policies of insurance companies along with competition from practitioners promising quick cures and painless treatments are threatening our livelihoods, thinning our caseloads and discouraging recruitment of new aspirants to our profession. Some rival practitioner groups confuse the public by identifying themselves as “psychoanalysts” even though they have little or no training in psychoanalysis. In some parts of the world, such groups have promoted legislation and governmental policies that threaten our identity as analysts. We are being pushed out of the culture, pushed out of the mental health market, and if we aren't very active in our defense, we may be pushed out of business. I became active in organizational affairs at the local and national levels to address these challenges. I chaired the Public Policy Committee of the Confederation of Independent Psychoanalytic Societies (CIPS) and on similar APsaA Committees, and was eventually appointed to co-chair the APsaA Committee on Government Relations and Insurance (CGRI). At the same time I initiated efforts to create a NAPsaC Find-an-Analyst website to provide the public with information about psychoanalysis, and to make the services of our members more accessible to the public. These efforts also drew me toward more extensive involvements in the IPA. Nearly a decade ago, I spearheaded the effort to create the FIPA credential (“Fellow of the IPA”) for all our North American members, and have since served on a succession of IPA committees to promote a public relations and advocacy agenda for the IPA. During these years I have written many papers and reports about the challenges we face as a profession (see “Professions” papers, this website). In each of these papers I have argued that we must understand psychoanalysis as a “skilled profession” rather than just a “professional skill.” It is only when we adopt the identity of a profession that we will be able to understand the challenges facing us and fashion the deliberate, articulated strategies we need to promote our collective interests in the world. The IPA needs to act like a professional association, not just a scientific organization. As a professional association, we need to take on the tasks that will enable us to reclaim our standing in the social system and in the culture. If I am elected, I will concentrate my efforts to promote three important sets of initiatives. We need to develop a much-expanded public information program. The best research and most impressive outcome studies will do us little good if the public doesn't know who we are, how to identify us, or where to find us. We need our best thinkers to work with public relations specialists to develop informational materials for journalists, referral sources, and public information websites like NAPsaC's www.FindanAnalyst.org. We need professional publicists to enhance media coverage and representation of psychoanalysis to relevant publics (journalists, legislators, allied professionals and other referral sources, and, of course, prospective patients). We need to monitor the conditions of practice wherever our members practice. In particular, we need to be aware of pending adverse legislation and regulatory policies, discriminatory practices of insurance companies, competition from groups of lesser standards, and damaging representations of psychoanalysis in the media. We must be organized and ready to address such threats before they gather momentum and damage the contexts of our practice. Like politicians, we must be able to respond to hostile press coverage and undesirable publicity quickly, before public opinions harden. We need to develop a range of action plans to enable us to prevent damaging situations from developing and to remedy them when our preventive measures are not enough. Some societies and regional groups have mounted successful efforts to prevent or reverse such developments. We need to study our success stories and gather the information we need to develop a strong political action capability, including models for lobbying campaigns, public relations programs, media engagement and, if necessary, litigation to protect our interests. Every successful profession engages in such action and we must do the same if we are to survive and thrive. New programs to build relationships with academic and scientific groups. If the cultural soil is parched, we need to restore it. Affiliations with academic and scientific groups are a vital point of contact with the wider culture. Every profession in the modern world is nurtured by its ties to the universities and to the sciences. As a result of our unique history, our ties to academia have been limited. This situation should obviously be remedied. In the past, I have propose four approaches to foster our ties with neighboring fields. First, I propose a very liberal expansion of the “IPA Allied Centers” program to include many more academic and professional memberships by groups representing psychology and the mental health professions, neuroscience, social science, and the arts. Many university literature departments are highly psychoanalytic in their orientations, as are some schools of social work and psychology. There are analytically oriented scientists and researchers in each of the fields I mentioned above. We should have closer working relationships with them. Second, we need new programs to enable graduate students and other academics to learn about psychoanalysis and to participate in psychoanalytic research projects. There are good models to replicate. Among these is the very successful APsaA "Fellows" program and the small but exciting IPTAR's Research Fellowship program, which allows graduate students to participate all phases of empirical research undertaken at IPTAR. Such projects provide models to be developed and implemented around the world to foster collaborative relationships with students, scientists, teachers, and professionals in allied fields. Third, I think we should spearhead the creation of a new interdisciplinary journal that the IPA can co-sponsor with members of allied fields such as those mentioned above. The joint publication of such a journal would enable our members to forge deeper patterns of collaboration and understanding with academics and scientists in allied fields, thereby enriching psychoanalysis while enabling us to establish a meaningful presence within our neighboring disciplines. Fourth, I would very much like to establish a support system to help our members write psychoanalytic articles for audiences outside psychoanalysis, especially in their home disciplines. I think it is critical that we all do what we can to represent psychoanalysis to mental health practitioners and students. It is especially important that students in other fields learn about psychoanalysis from us rather than from instructors and authors outside our profession. Ten years ago, I contributed a chapter to a social work textbook that surprised students and stimulated their interest in psychoanalytic training (see Psychoanalytic Psychotherapy, posted on this site). All our members have ties to other fields. These affiliations can be very productive if we utilize them. For many of us, however, writing textbook chapters or journal articles is taxing and frightening. An IPA program to provide the support of researchers or seasoned writers to new authors undertaking such outreach efforts would encourage more productivity and enhance the quality of the material generated. Shortly after this administration took office. I was very honored to be appointed by the President to chair a new IPA Committee on Government. Unfortunately, as of this date (November 10, 2010) the IPA Board has not yet approved the mandate for the new committee and the committee has thus not yet met or begun its work. This situation is emblematic of the problems that the IPA Board has struggled with during the past year. The IPA has been tangled up in a protracted governance crisis, triggered by actions of the administration to significantly downsize the administrative staff of the IPA. The administration pursued this course without, in my view, seeking the necessary participation, advice, or approval of the IPA Board. Four North American representatives (Harriet Basseches, Fred Busch, Arthur Leonoff and myself) came to believe that the actions of the administration were contrary to the bylaws of the administration. We consulted with a UK attorney who confirmed our convictions. In the course of the last year, we four have written two major documents that detail the unfolding crisis of governance. The first of these reports (“The Broomhills Reorganization: A Statement of Concerns”) was distributed to the IPA Board along with a legal opinion, and was subsequently circulated by NAPsaC to all North American IPA members. A second report (“Broomhills, Budapest, and Beyond”) was written in response to a request by the NAPsaC Board. This report was submitted to the NAPsaC Board on November 6, accompanied by a legal opinion that supports the transparency of IPA governance, a core value that was challenged by the events of the past year. The second report and the second legal opinion may not be widely distributed but should be available from your local society or NAPsaC representative. It is absolutely vital that the democratic character of the IPA be protected and fortified so that the problems of the past year are not repeated. These reports each address the events and the governance issues they cause us to consider. We four IPA Board representatives devoted a great deal of time to these reports because we were concerned both about the fate of Broomhills and the fate of IPA governance. While we succeeded in bringing the Broomhills reorganization back under the regulatory authority of the Board, critical governance issues remain unresolved. Why is the democratic character of the IPA so important? The IPA is a remarkable professional association. It represents a very diverse community. The great challenge of the IPA is to coordinate the needs and ambitions of all it different component groups, each with its own culture, theoretical commitments and clinical traditions, and to transform these multiple individual causes into policies and programs for collective action that serve everyone's interest and earn everyone's support and appreciation. The democratic character of IPA governance is foundational to this effort. It is the democratic character of our governance that enables all our component groups to join together in a spirit of collegiality and with confidence that their interests will be represented in the deliberative processes through which policies and programs are forged. It is the democratic character of organizational governance that enables each member to feel identified and attached to the IPA, to feel it as “our” association, representing “our” professional community. Indeed, it is the democratic character of IPA governance that enables the IPA to exist today, despite the many challenges it has faced over recent years. The IPA has not always been a fully democratic organization. Many distinguished IPA leaders and members have worked together over many years to make the IPA a democratic organization, to create the bylaws, procedures, and institutional structures that constitute the foundations of our democratic governance. As we value our association, we must now make their democratic cause our continuing endeavor. We must be vigilant in the defense of our organization and its rules, and, in my view, we must carry forward a reform agenda that preserves and promotes our democratic governance. We need to review our bylaws and procedures, clarify ambiguities that can be exploited to circumvent due process of democratic governance, institute new provisions that better establish the rights of representatives to report faithfully to their constituencies and that hold more fully accountable those who disregard our rules or the obligations of good governance. We must establish new bylaws and procedures that ensure that IPA governance is transparent and accessible, so that all our members can exercise their rights and responsibilities to participate in IPA affairs. IPA Rules vest “supreme authority” in the members, but this authority is meaningless if the system of governance allows the membership to be cut off from the governance activities of the association. We must make every effort to ensure that our association is governed in the closest possible accord with the will of the members. This election is as much about what the IPA will be as it is about what the IPA will do. I ask for your support in this election. I seek to support an agenda of democratic reform to ensure that our governance is democratic and robust. The events of the past year make this a critical priority. The IPA must merit the support and love of our members if it is to carry out the programs and policies that promote and protect our profession. Sigmund Freud envisioned psychoanalysis as a discipline devoted to the study of the human condition, grounded in the clinical realities of the analytic situation but inspired by the wisdom of the poets. He attracted colleagues from diverse backgrounds, individuals of culture and curiosity who were moved by his mission to illuminate the dark at the center of the psyche. Psychoanalytic psychotherapy is a method for the treatment of mental and emotional disorders through verbal means that promote their understanding. By mental and emotional disorders, I mean patterns of thought, feeling, and behavior that restrict the pursuit of life's pleasures and impose objectively unnecessary suffering. By understanding, I refer to understanding in the conventional sense, as well as understanding in the psychoanalytic sense. Perlman, F. (1997) Psychoanalytic Therapy with Adults. In: J. Brandell (Ed. ), Theory and Practice in Clinical Social Work, New York: Free Press.